It’s a well known fact that kids learn much faster than most adults. 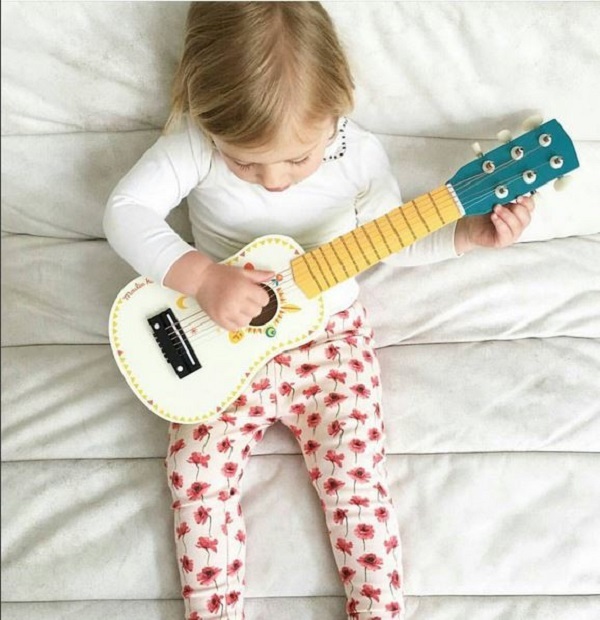 So when your kids start learning how to play an instrument from a young age, they develop life-long skills at a much quicker rate, simply because they don’t have the limitations, rules and boundaries that we do. They’re free to commit to the art without any doubt or consequence. That being said, having your kid learn how to play an instrument, such as the guitar, can be extremely beneficial to their personal development. First and foremost, they learn the benefits of hard work, dedication and discipline. These traits can be invaluable in every aspect of their life. A sense of personal achievement and success every time they successfully play a song with no mistake can be extremely rewarding. But more importantly, it can be very fun. The fact that playing a guitar is challenging and rewarding at the same time can lead to massive boosts in discipline and confidence. Next, the guitar can help them develop an identity for themselves. As trivial as it may sound, since children go through a lot of “identity crisis” throughout their lives, playing guitar can be something that they identify themselves with. Many adults lack something to hold onto when times get tough, simply because they don’t have a hobby or skill to lean on. So if you’re convinced you want to buy a guitar for child, there are a few things you have to bear in mind in order to get the most value out of your money. Plus, you need to consider these things to ensure the guitar you buy is good enough with the optimum amount of playability, looks and sound to please your kid. The types of guitar for child and the size of the guitar are two most important things you need to get right. There are two basic types of guitars – acoustic and electric. Each of the two types has its own advantages and disadvantages, and neither choice is right or wrong. It’s something that you should consult with your kid and see which one he/she wants. If you buy an acoustic guitar for your to-be electric shredder, it could be a massive turnoff. Most kids who want to learn are mostly encouraged to keep going when they can create the sounds of the music they like. That being said, a guitar that sounds decent and is capable of producing the music they like can be essential to keeping them latched onto playing it. Otherwise, you get a guitar that will sit in the attic collecting dust. Picking the right size is also crucial. The best way to find out the ideal size is to let your kid hold it in his/her arms, but if you’re ordering online, this may not always be possible. 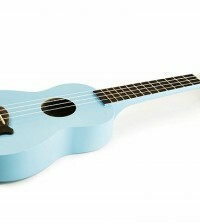 However, you don’t have to worry about shopping online, as the guitar size for most kids is: scale 390mm, length 565mm, width 176.5mm, depth 58.5mm. Voila, now you can order it and have it delivered right at your doorstep.